Most self-help books are rather brash, promising a better life if you follow the advice provided, follow their program and get the accompanying workbook. You feel you are being sold something and even being judged if you don't become less relaxed, a better lover, a better parent, a more productive worker using their plans. Often they come in low-cost low-quality paperbacks that fall apart when you break the spine. 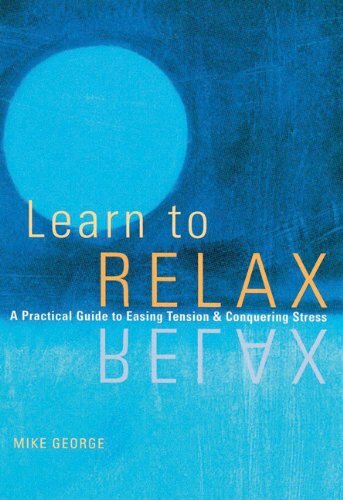 Learn to Relax and similar ones in the Learn to... series from Chronicle Books are much more mellow and enjoyable to read. It is a collection of suggestions for how to achieve a more relaxed state, illustrated with pleasing art and high production values. You can read it from start to finish, or you can dip into it randomly. The suggestions are often informed by ideas from eastern medicine and philosophy such as the flowing energy qi, with recommendations of meditation, massage, yoga, and breathing exercises. It even suggests that acts of kindness to others can be relaxing. The book contains 25 exercises designed to help the reader to relax, but there's no suggestion you have to follow them consecutively. There are also many other suggestions that make plenty of sense, such as learning to communicate with one's partner, guided imagery, and getting enough sleep. Does it work? I can't say. One of the most difficult steps for people who are stressed out is finding time and energy to actually follow through the suggestions of a self-help book to learn to relax. Even once you find the time to act on the of the book's suggestions, there can't be any guarantees that you will actually wind down. But it's possible that you could learn some useful techniques from Learn to Relax that could last a lifetime.